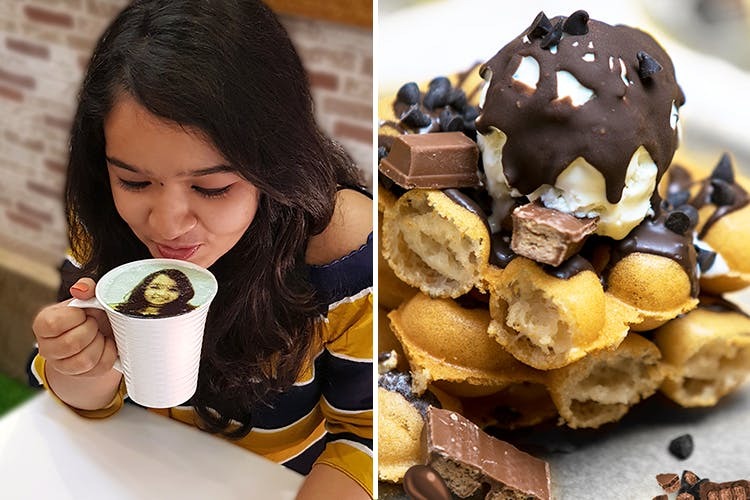 Remember #Selfieccino, the cafe from Mumbai that broke the internet with its one-of-a-kind cappuccino with a print of your selfie? Well, good news is it's coming to Pune pretty soon. #Selfieccino is opening at Madhav Memory, inside Kotbagi Hospital Lane on DP Road. We are not certain about the opening date, however we are absolutely certain that it's going to serve the iconic selfieccino, which is basically cappuccino that comes with your selfie printed on them. Apart from this, the menu will also comprise tons of other wacky grub like bubble waffles, chompy 6-inch churros, scrumptious thick-shakes and frosty frappes. We recommend you try the fudgy brownie waffle and the cinnamon spice frappe. If selfies aren't your deal, we hear you can also get messages printed on your coffee. How cool?